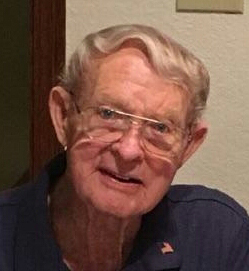 Obituary for Gerald Call Smith | Price Funeral Chapel, Inc.
Gerald Call Smith was born on March 12, 1927 in Draper, Utah and passed away on March 24, 2019 in Fair Oaks, California. Gerald is survived by his wife Beverly Reed, brother Willard Smith, and children Gerald (Robin) Smith, Sharilyn (Mike) Hughes, Laurilyn (Kent) Shepherd, and Shelleylee (Grant) Goold. He is the grandfather of 14 grandchildren, and many great-grandchildren. Friends and family are invited to attend his funeral service on Monday, April 1, 2019 at 10AM at The Church of Jesus Christ of Latter-day Saints (4125 San Juan Ave., Fair Oaks, CA 95628). Interment following at Fair Oaks District Cemetery. PRICE FUNERAL CHAPEL (916-725-2109), directors.